In the early '90's I spent a lot of time visiting a ranger friend at a State Park. We discussed the idea of having a trail maintenance day. He discussed the idea with his boss and soon we set a date and had a few fliers up in the Park. When the work day came, only one couple joined us to work. They regularly walked the paved trails in the Park and wanted to give back. The couple were workers and we quickly finished the project and planned another day. On the second work day, they brought their daughter and we cleared another trail. While working together we discussed the Parks' trails at great length. They had only walked the paved multi-use trails and just a few of the more popular paths. Well, that was about to change. In the next couple of years we saw the couple on trails all over the very large Park. We would be exploring some isolated corner of the Park, and somehow we would stumble onto each others' paths. They were the only people we would see all day. It was truly uncanny. On each meeting, they wanted to know when the next trail work day was going to be. Wow. Volunteering enlists workers into ownership of the public land. The workers become vested in the workings of the land or organization. They want to give back. 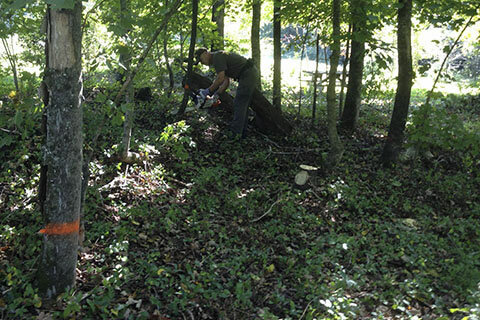 Oddly enough not only do the volunteers offer to work, but they also use the lands more often. Our friends were seen toting a bag of trash (litter) from a back country campsite and it was not even a work day! They were practicing minimum impact usage. Giving back feeds a spirit of commitment. Giving back leads the user to minimum impact. They see the needs, where they can help, and also how users harm the Lands. 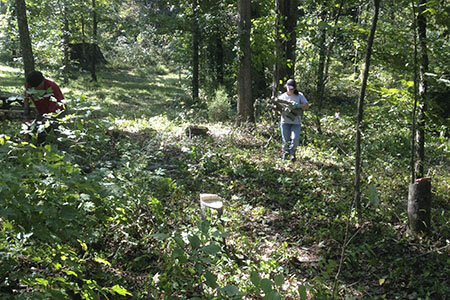 After the volunteer becomes more involved they begin to see how to use the land without damaging it. For example, spend a day working to ease the damage of hikers who shortcut switchbacks and the worker then understands why they should not shortcut. While giving back learn more about the Park, Land, or organization. Learn how to help by volunteering work or money, but also to become more acquainted with the Land and how to be a better user of the Land. Friends groups have sprouted everywhere. They represent a structured means of giving back. Volunteers are given a feeling of ownership. They are more concerned with the well being of the Land. Ownership is not however possession. Giving back to the trails makes the user more aware of the need for minimum impact usage.